At The Lost Dogs’ Home we believe that senior dogs make wonderful pets. By adopting a senior dog you know right from the start the important things about them, like their full grown size and their personality and temperament. Sadly, many senior dogs available for adoption are often overlooked in favour for their younger shelter companions. This means that these golden oldies often take a bit more time to find their new home. 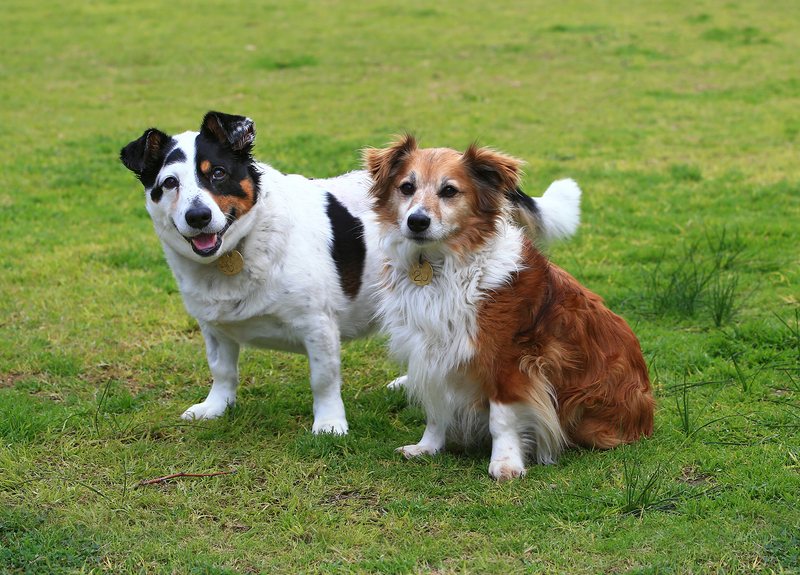 Two sensational seniors currently looking for their new forever home are 10 year-old sheltie cross Jonny and 10 year-old corgi cross Jaxon. As a bonded pair this dynamic duo are looking for an extra special owner who is willing to open their home and heart to not one, but two loving senior citizens. These best mates are a friendly and affectionate pair with plenty of love to give to their new owners. Calm and reserved, Jonny is happy to take his time to get to know you, whereas confident Jaxon is happy to come straight up to you for cuddles and pats. In return for a new home for Jonny and Jaxon you will be rewarded with a pair of beautiful dogs with good manners and a lot of time and affection for you. Jonny and Jaxon are just two of the golden oldies currently awaiting adoption at our North Melbourne shelter. To help our sensational seniors find their loving homes, The Lost Dogs’ Home is halving the adoption fees for all senior dogs nine years and over at our North Melbourne and Campaspe shelters. Please note: Renters will need to provide a Rental Agreement showing approval to keep a dog. To receive the discount, you will need to complete our Pet Licence Test at our shelter or online. If you are not in a position to adopt a golden oldie like Jonny and Jaxon, don’t worry, there are other ways you can help the animals in our care. Foster: We are always on the lookout for foster carers to care for dogs in our care for an average of two to four weeks. This is a terrific way to give a dog some much needed time out in a normal home environment. For more information visit our foster care page. Advocate: Can’t foster? Why not advocate for an adoption candidate currently seeking a home? Share adoption candidate profiles via your Facebook page, email or via good old word of mouth.